Apple has announced their annual Worldwide Developers Conference (WWDC) will take place June 8 through June 12 in San Francisco, California. Though WWDC is a developer centric conference, Apple typically unveils new versions of iOS and OS X on the first day of the event, making it notable for regular Apple product users as well. The assumption is that a successor to OS X Yosemite versioned as 10.11 will be unveiled alongside iOS 9. Occasionally, Apple also unveils new products at WWDC as well, and there is ongoing speculation that a new Apple TV with an App Store could arrive during the event. 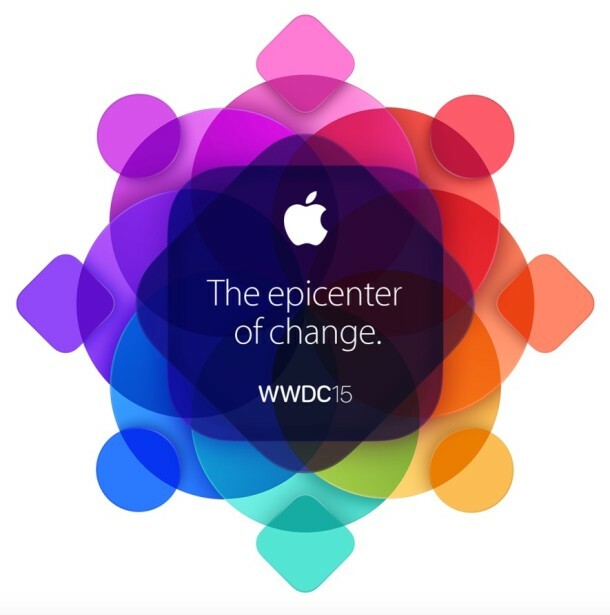 Tickets to attend WWDC 2015 are $1599 and require applying to be randomly selected to purchase and attend the event. Scholarships are also available. “CUPERTINO, California—April 14, 2015—Apple® today announced that it will hold its 26th annual Worldwide Developers Conference (WWDC) June 8 through June 12 at San Francisco’s Moscone West, with more sessions than ever before streamed to developers. At WWDC, Apple’s renowned developer community will come together to learn about the future of iOS and OS X®, helping them continue to create the most innovative apps in the world. WWDC will feature more than 100 technical sessions, over 1,000 Apple engineers, hands-on labs to help developers integrate new technologies and fine tune their apps, as well as the Apple Design Awards which showcase the best new apps in the last year. •	Apple Design Awards which recognize iPhone®, iPad®, Apple Watch™ and Mac® apps that demonstrate technical excellence, innovation and outstanding design. For Mac, maybe we will get a working version of OS X that is not dreadfully slow and awful to look at! That is my request for OS X. What is next for iOS, that will be a boring one, just version it as iOS 8.5 and stop jumping version numbers with minor changes. Can’t wait for the next Apple TV, I hope they allow third party button controllers because the touch screen is not adequate for gaming. OS X 10.11? Good gravy! Yosemite 10.10 still has issues. Technology moves to fast for me. “epicenter of change” huh?! Can we assume OS X 10.11 San Andreas?! Yosemite is still an unmitigated mess and they want to inflict more stress, inconvenience and frustration on OS X users. Who, because of substantial investments in Apple Hardware and Software, are coerced into Apples insane self-serving Capitalist pursuit! Steve Cook, is most definitely, a deranged individual. based upon the logo. With overlapping squares with curved corners. This is going to focus a lot on Apple TV and home automation. I hope they go back to 256 shade grey icons for iOS and OS X. The colors are too flashy. B&W for everyone! And since Apple is going minimalist in everything, how about ripping out all the Apple crap software, like Facetime, Photos, Etc. and make it so when you install the OS, you check the software you want installed, or can add it later. Minimalize my OS!! !